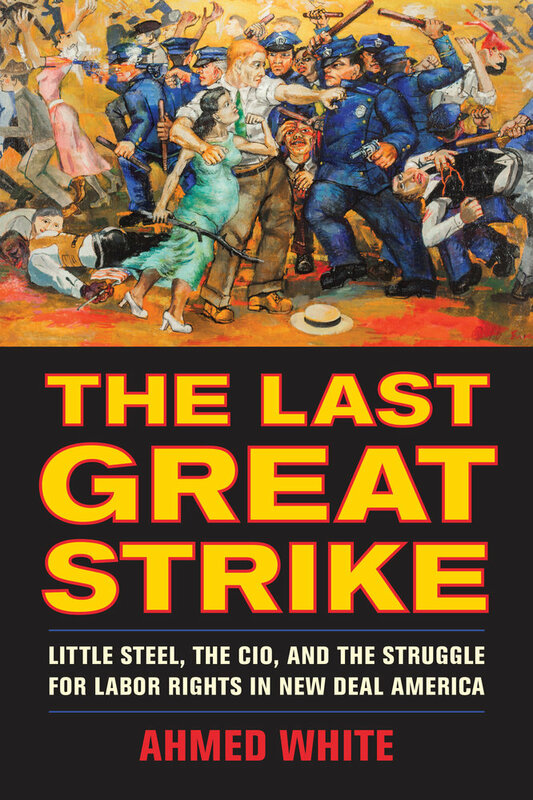 In May 1937, seventy thousand workers walked off their jobs at four large steel companies known collectively as “Little Steel.” The strikers sought to make the companies retreat from decades of antiunion repression, abide by the newly enacted federal labor law, and recognize their union. For two months a grinding struggle unfolded, punctuated by bloody clashes in which police, company agents, and National Guardsmen ruthlessly beat and shot unionists. At least sixteen died and hundreds more were injured before the strike ended in failure. The violence and brutality of the Little Steel Strike became legendary. In many ways it was the last great strike in modern America. Traditionally the Little Steel Strike has been understood as a modest setback for steel workers, one that actually confirmed the potency of New Deal reforms and did little to impede the progress of the labor movement. 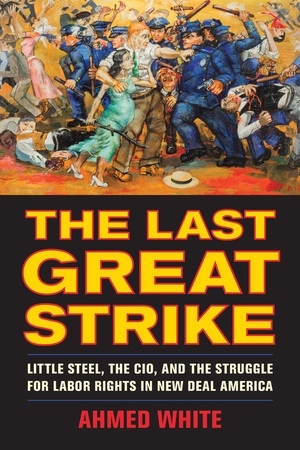 However, The Last Great Strike tells a different story about the conflict and its significance for unions and labor rights. More than any other strike, it laid bare the contradictions of the industrial labor movement, the resilience of corporate power, and the limits of New Deal liberalism at a crucial time in American history. Ahmed White is a Professor of Law at the University of Colorado, Boulder.